The last 25 years of Dr. Palafox's career has been focused on improving health capacity and health policy toward reducing health disparities in the populations of the Republic of the Marshall Islands (RMI) and the other US-Affiliated Pacific Island (USAPI) jurisdictions of the Territories of American Samoa and Guam, Commonwealth of the Northern Mariana Islands, Republic of Palau and the Federated States of Micronesia. This work has been done utilizing a community-based, participatory approach and developing key partnerships with health leadership, policy-makers and community advocates throughout the USAPI and with Micronesian communities in Hawaiʻi. These efforts have resulted in US Center for Disease Control (CDC)-funded Comprehensive Cancer Control programs in each of the USAPI jurisdictions and the USAPI region, in the development of a Pacific Regional Central Cancer Registry and in a Pacific Center of Excellence in the elimination of disparities in breast and cervical cancer in USAPI populations. 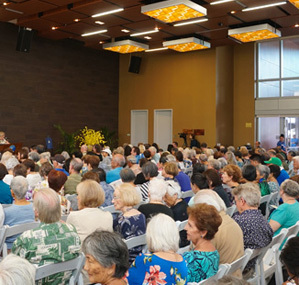 The Pacific Regional Central Cancer Registry was developed in partnership with the Hawaiʻi Tumor Registry (a program of the University of Hawaiʻi Cancer Center) and the University of Guam (the minority institution partner in the National Cancer Institute U54 Minority Institution/Cancer Center Partnership grant). Palafox NA, Gunawardane K, Demei Y. Pacific island partnership: The Pacific Cancer Initiative. J Cancer Educ 21:S87-S90, 2006. Gittelsohn J, Dyckman W, Tan ML, Boggs MK, Frick KD, Alfred J, Winch PJ, Haberle H, Palafox NA. Development and implementation of a food store-based intervention to improve diet in the Republic of the Marshall Islands. Health Promot Pract 7:396-405, 2006. Vinson C, La Porta M, Todd W, Palafox NA, Wilson KM, Fairley T. Research and comprehensive cancer control coalitions. Cancer Causes Control 21:2033-40, Review, 2010. Palafox NA, Hixon AL. Health consequences of disparity: The US Affiliated Pacific Islands. Australas Psychiatry Suppl 1:S84-9, 2011.